High praise for the Thai Ger Line Golf's 10-days beginners course! I arrived with no knowledge at all and I finished fully confident to play a 9-hole course. My teacher, PGA Golf Pro David Race, did an excellent job to patiently introduce me to the many secrets of golf e.g. a perfect swing, how to get the ball out of the sand bunkers, the golf etiquette etc. On top, Fabian and Kik perfectly organised all the arrangements. Needless to say that Pattaya offers not only great golfing but also all kinds of day and night time entertainment. I highly recommend Thai Ger Line Golf's beginners course! Thank you so much for a wonderful vacation in January/February. Warm thanks to Kik and Fabian, Thai-Ger Line Golf for the arrangement of our annual golf vacation to Thailand and the Pattaya area. Thanks to Kik for being so patient in preparing the best program for us. Thanks to all of your drivers (Pot and Jo in particular) for excellent services and safe transport between airport, residences and to the variety of golf courses, that we have visited. We sincerely would like to recommend Thai-Ger Line golf as your preferred travel partner when going to Thailand. A very very big thank you from myself and my group. This year we had group of 17 people and was nervous and not sure how the golfing trip was going to work out. But needless to say Thai Ger Line yet again delivered seamless and professional service. May take this opportunity to thank both of for being patience and understanding of our needs. Thank you for the shirts, well appreciated by all. Finally I would recommend Thai Ger Line to my friends and look forward to book golfing packages in future. Our trip to Hua Hin was fabulous, once again thanks to Thaigerline Golf everything went smoothly from the time we were picked up at the Airport until the time we were dropped backed at the Airport. We are already planning our 2015 tour and as soon as we decide the destination we will be in touch with you. I have attached a couple of pictures, and will send more at a later date, which you are quite welcome to add to your website. Once again thank you Thaigerline Golf. Helloy Kik and Fabian ! We are in Finland again. Our journey to Thailand was 100 % yes, thanks to Tigerlinegolf and especiality to our driver Jak; very exact every day ! Maybe next year we`ll se again. this is the group this year at Thai Country Club. das erste Foto zeigt Christian, Num und einen Herren im schwarzen Hemd, der sich einfach dazu gestellt hat. Dass auch der tätowierte Bus zu sehen ist, mag kein Nachteil sein. Foto zwei hat anschließend Num gemacht, wieder mit dem schwarzen Ritter, der sich als John The Eagle vorstellte. Liebe Grüße – selbstverständlich auch und gerade an Num - aus dem kalten Germany. Seid froh, dass Ihr da seid, wo Ihr seid. Euere Jo. und Christian, ersterer schon heute in Vorfreude auf die nächste Ecke in Thailand. Mit Num, versteht sich. wir sind mit Numi und John wohlbehalten am Flughafen BKK und dann in FRA/NUE angekommen. Wir hatten eine fantastische Zeit mit wohl einmalig schönen und fast menschenleeren Golfplätzen. Es lohnt sich ein Google Earth Blick allein auf Blue Sapphire Resort, um die Wassermengen der Anlage zu erahnen, zwischen denen die Golfbahnen wie grüne Stege mit reichlich Inselgrüns wirken. Es hat alles reibungslos geklappt, alles war in bester Ordnung und Euer Fahrer Numi ist – wie man hierzulande sagen würde – eine Perle in jeder Hinsicht: freundlich, hilfsbereit, kundig und absolut zuverlässig. Es waren makellos schöne Tage mit wunderbarem Golf, dem weltbesten in Nürnberg lebenden, irischen Golflehrer bei gastfreundlichen Thailändern und –Innen. Vielen Dank für die Organisation und die perfekte Durchführung! Just a short note of thanks for your organisation of our golf games on our recent trip to Pattaya. Of the 19 men on our trip there was praise and not one complaint for the in which organised our 5 games of golf. On day one of our trip when I visited your store and met kik I was pleased with the friendly way in which I was treated. I commend you on the way that you were always on time to pick us up from Sabai Lodge, the way in which you helped us out at each golf course, and the fact you were not concerned that we wanted to stay an extra hour at each course for adrink and our presentations. Your drivers were also very friendly and helpful. If you wish to use this note in your advertising I would award you 10 out of 10 on every aspect. Once again thank you for making our experience in Pattaya so enjoyable. I will be contacting you later in the year re golf recommendations for our next trip to Hua Hin. Here is a group picture. "We can recommend Thaigerline and Soi Dao golf course". Guys in matching shirts are from More Than Oil Pennants Team x PNG. we are back again from Thailand. The transfers to the golf courses has run frictionless. The golf courses were everybody in very good state. Many thanks for the Organization. We had a great holiday thanks to you and your staff. The Bayview is an ideal hotel, great location, quiet, good rooms, great breakfast and fabulous staff.All of the Golf courses were great especially the 3 Five Star courses.We enjoyed each course and they were all very different.Your drivers were excellent , always on time, friendly and most obliging at all times, please pass on our gratitude to each of them.I would on behalf of the 8 people who attended thank you very much for everything you organised for us and the great time and our memories forever. I am sure we will be back next year at some time, I wish you both the very best for the future and all being well hope to catch up again in the future. Thanks for your great help and support in my first trip to Pattaya. It was a great success and one I will follow up on next year. I have great plans for next year, which I will write to you about later when I am ready :o). But I will definitely come back next year and I will use your company again! I have attached some fotos you can use them as you like. You may quote me: "Thai-gerline is a reliable and trusthworthing golf-assisting company where You can do all Your golf-bookings ect. at a low price". citat: Knud Storgaard, 3. time European Tour professional. Best regards to you Fabian and your wife and staff! 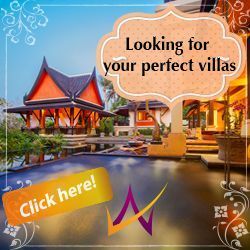 We have been to Pattaya countless times, but this trip beats the rest in terms of the \'military\' precision in transfers, excellent course selection and golfing experience. Thank you very much. May I take this opportunity to thank both of you for absolutely brilliant golf package you arranged for our HMGS golf society members in November. The whole package was executed by yourselves in a professional manner with patient and with great understanding of customer needs. All the members enjoyed all the courses you booked for us. The transport from Hotel to all the courses was on time and very comfortable. Also the personal service from all your drivers was friendly, always willing to accommodate any situation that arose. Finally I would recommned Thaigerlinegolf to my friends and lookforward to book golfing packages in future. Thai-Ger Line Golf Touren in Pattaya - die beste Adresse für Ihren Golf Urlaub in Pattaya sowie weiteren Golfzielen in Thailand. Unsere Daily Golf Touren starten vor unserem Golf Shop in Pattaya - vom 16. Oktober bis 31. März. Begleiten Sie uns - Thai-Ger Line bringt Sie täglich zu den verschiedensten Golfplätzen in der Umgebung. Preis ab 1.700 THB mit Transfer vom Shop zum Golfplatz und zurück, Caddy und Green Fee.